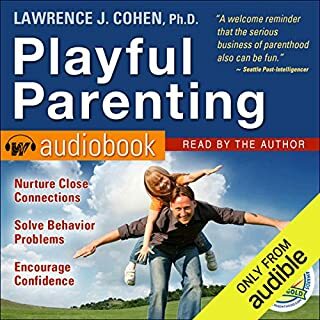 Written by: Lawrence J. Cohen Ph.D. Amazing!! 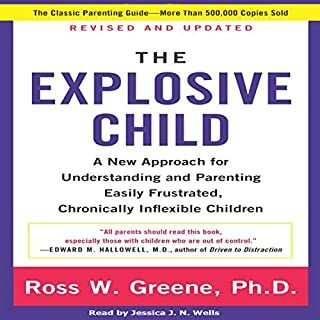 By far the best parenting book I have ever read. 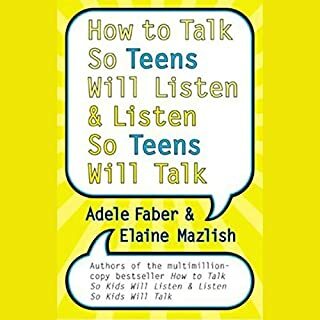 When parenting authorities Adele Faber and Elaine Mazlish sat down to write the national best seller How to Talk So Kids Will Listen & Listen So Kids Will Talk, they found they could not contain their chapter on sibling rivalry. No matter how much they tried to pare down their advice, they found the subject inexhaustible - and parents agreed! ©2012, 1998, 1987 Adele Faber and Elaine Mazlish. All rights reserved. (P)2015 Simon & Schuster, Inc. All rights reserved. What made the experience of listening to Siblings Without Rivalry the most enjoyable? It was easy to follow and gave great examples. Looking at the parents early lives helped. I listen while I drive and one of the times my boys were in the vehicle with me and they did not want me to turn it off. The enjoyed it also! What other book might you compare Siblings Without Rivalry to and why? Nothing I have ever read has been this good, on dealing with siblings. It had many good parts and all worked together for the good of my boys. How they compare the new sibling scenario to inviting another husband or wife into the situation. That really made a difference for me. If my husband got another wife how would I feel, how would I like sharing my things with her, how would I deal with sharing his attention. Nicely done! I cannot explain it so that all can understand but if you have issues between siblings THIS IS THE BOOK FOR YOU! It has made my home a nicer place to be. We talk it out and apply what I learned from the book and it is unbelievable. I am so happy. I am not even all the way through but it is that good, already! Quick - Listen to it before school gets out! 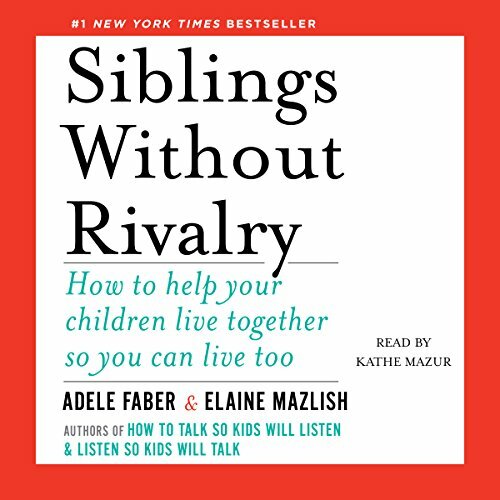 Would you consider the audio edition of Siblings Without Rivalry to be better than the print version? I was able to get through it more quickly by listening to it. I'm so happy my book club decided to read Siblings without Rivalry before school gets out. This title has been languishing on my to read list for awhile. I thought I would get some tips on how to stop the bickering, but the book is more than that. It isn't just for parents. I was constantly reflecting on my own upbringing. I had a real "moment" with this book. I clearly see why I have the relationship that I do with my brother. Moving forward I'm so motivated to change my approach to my kids. My review is written from a Christian perspective. If you're secular, disregard me. But, this book has many Biblical references and is popular in many Christian communities, so I don't think my opinions are irrelevant. (There are 2 authors but I'll be referring to them mostly in the singular as they do in their text). 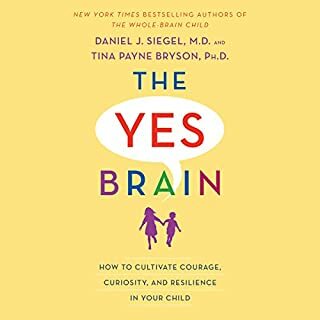 This book definitely offers many great situational solutions; ways to defuse conflict and listen in ways that make kids feel validated, mostly. 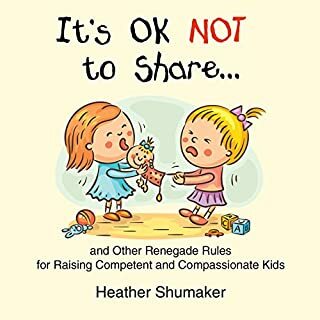 However, an underlying theme is that you shouldn't discourage a child from expressing extremely negative things about others, and that some children just aren't meant to like each other. No unreasonable or viscous thought is off limits; we're told to never correct or invalidate any of these statements and feelings. Suzy wants to burn Sally alive and watch birds pick at her crisped carcass because she got a better grade on a test? We're not supposed to challenge that! The proof is in the pudding though... so has it led to their kids being shining examples of sibling harmony? No, she (they) are very honest in admitting that their kids are as cruel and violent as anyone else's (which is fair enough!). 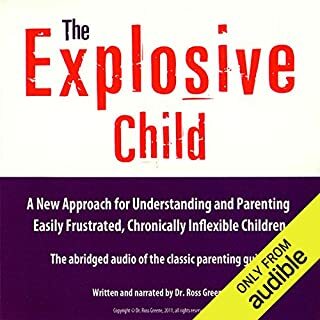 At one point, one of the authors recounts an incident where her older son heated up a spoon on the hot coil of a stove, and then burnt his younger sibling on the neck with it. That's terrifying and cruel, NOT just normal kid stuff, and it was a critical moment when the authors lost some credibility as 2nd generation parenting experts for me. If things in their homes aren't exceptionally better than Joe-shmoe, whyyyy am I paying for their advice? Where is the fruit of their wise guidance? The authors don't claim to have a solution to correcting the HEART of the issues between siblings... and that's where Siblings Without Rivalry fails. They just provide really great tips for managing one crisis situation after another. 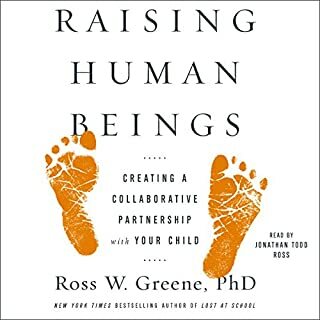 The book left me feeling hopeless, as the main takeaway is that we as parents are powerless to address the REAL issues of our kids' sinful hearts (pride, anger, selfishness, jealousy, etc), and instead should focus on cultivating skills to merely survive until the kids either learn to like each other, or are grown and don't have to live together any more. 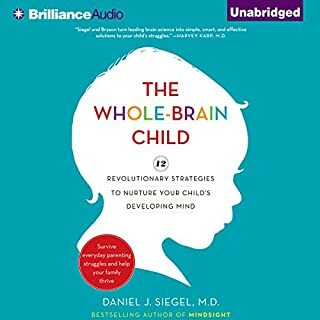 Ultimately, I felt this book actually encouraged very self-centered thinking in our kids through the constant validation (to be clear, they don't say to AGREE with your kids, but to mostly offer generic, non-corrective acknowledgement of what they've said, such as &quot; wow, yeah, I'm hearing that you really want to burn Sally alive!&quot;. To an angry person, seemingly-neutral acknowledgement like that is as good as approval). A home (or world) full of self-centered people isn't a very enjoyable place to live, and I'm not merely aiming for &quot;surviving until they're off to college&quot;... so this was a disappointing read. 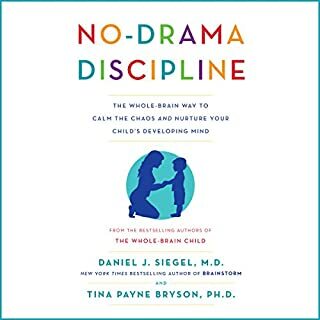 Some valuable solutions here for conflict management, but gets us no closer to cracking into the heart of our kids' conflicts or teaching them to be gracious and Christlike with one another. What was one of the most memorable moments of Siblings Without Rivalry? 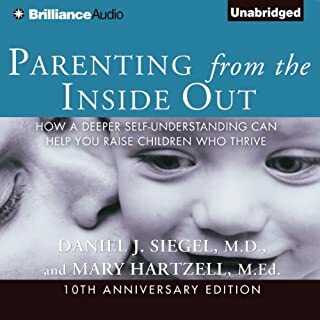 The fact that the adults parents, while trying to help their children, got closure from their own hurts and emotional baggage, that developed years ago, from their experience with sibling rivalry. Let the hurting child express their negative feelings to you. Of course you don't agree, but it will help your child, because accepting and validating, helps those negative feelings go away. This book taught me to forget the classic one liners, such as, 'I love you both the same" as they are NOT helpful! Very useful skills. It’s a parents hand book. Audiobook is even better for busy parents who barely have time to read. I finished the book while driving, walking, doing exercises! This book made me see sibling relationship in a new light. My children's as well as my own. What did you love best about Siblings Without Rivalry? 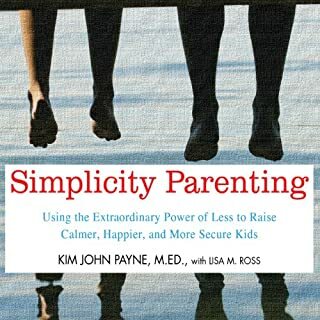 I liked the various perspectives of parents that attempted methods on their children and the results that came back. I thought for the material that was being delivered she did a great job with kids voices, parents voices, and the counselor. No, it has a lot to offer but it would take me a few sittings to complete this and I am going through it a second time. 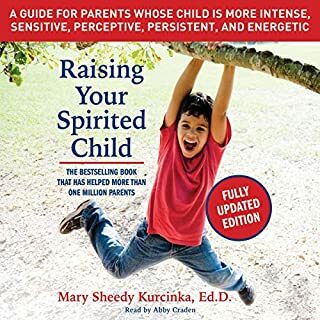 I use the information in this book to assist with parenting foster children as well as my own kid. I find that the information it provided was well worth the time and it has also brought insight into my own relationship with my sibling. It is very practical and very easy to follow. 90% of the audiobooks I purchase, I don't finish them completely. I actually listened to this one twice! The concept that stands out the most is that we should not label our kids, and we should not talk about one child with another child in the family, whether it is positive or negative. 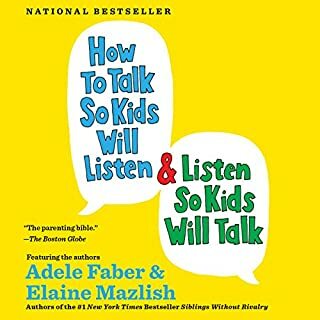 The book is written as if the listener is part of the siblings without rivalry parenting class. It flows well and is very helpful. I think it has definitely helped me interact with my four kids. I'm a mother of 3, 6 year-old daughter and two boys 4 and 2. I never could find time to read and didn't think I would ever need to follow a book for raising my kids until my youngest turns 2. Sibling rivalries started so badly I started doing physical punishments, which make me deeply wish i'd came across this book a lot sooner. I've tried some of the methods or ways of talking/guiding with my kids, sometimes I see an immediate result but sometimes I would have to brainstorm a different approach. With my kids, I know this new way of parenting will work but it'll nevertheless lay need time to bring my kids back to a "harmony". 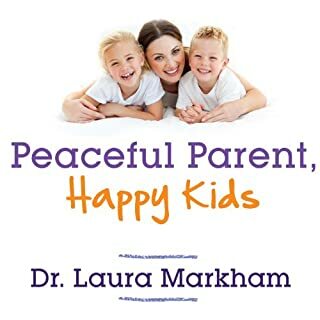 All and all, this book has provided a very practical, inspirational and positive way of thinking in parenting. Highly recommend it! I’ll keep listening at some point, but I had to stop at the end of chapter 2. I wish I could see what the additional chapters cover. 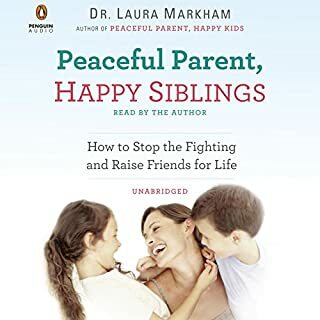 I am just preparing for my second child, so listening to two chapters of the author talking about how much kids hate and want to physically harm their siblings is very depressing. 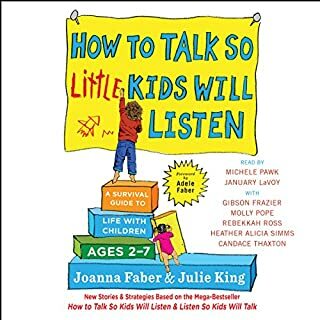 I was hoping for a book that would help me positively prepare my child for a sibling, but this book (so far) just seems to aim at teaching children to verbalize their hatred rather than only physically harm others. I may be a little naive, but having siblings myself I refuse to believe that all children turn into murderous sociopaths once they have siblings.